Imagine a day when—rather than being spewed into the atmosphere—the gases coming from power plants and heavy industry are instead captured and fed into catalytic reactors that chemically transform greenhouse gases like carbon dioxide into industrial fuels or chemicals and that emit only oxygen. It's a future that Haotian Wang says may be closer than many realize. A Fellow at the Rowland Institute at Harvard, Wang and colleagues have developed an improved system to use renewable electricity to reduce carbon dioxide into carbon monoxide—a key commodity used in a number of industrial processes. The system is described in a November 8 paper published in Joule, a newly launched sister journal of Cell press. "The most promising idea may be to connect these devices with coal-fired power plants or other industry that produces a lot of CO2," Wang said. "About 20 percent of those gases are CO2, so if you can pump them into this cell...and combine it with clean electricity, then we can potentially produce useful chemicals out of these wastes in a sustainable way, and even close part of that CO2 cycle." Where that old system was barely the size of a cell phone and relied on two electrolyte-filled chambers, each of which held an electrode, the new system is cheaper and relies on high concentrations of CO2 gas and water vapor to operate more efficiently—just one 10-by-10-centimeter cell, Wang said, can produce as much as four liters of CO per hour. The new system, Wang said, addresses the two main challenges—cost and scalability—that were seen as limiting the initial approach. "In that earlier work, we had discovered the single nickel-atom catalysts which are very selective for reducing CO2 to CO...but one of the challenges we faced was that the materials were expensive to synthesize," Wang said. "The support we were using to anchor single nickel atoms was based on graphene, which made it very difficult to scale up if you wanted to produce it at gram or even kilogram scale for practical use in the future." To address that problem, he said, his team turned to a commercial product that's thousands of times cheaper than graphene as an alternative support—carbon black. "Right now, the best we can produce is grams, but previously we could only produce milligrams per batch," Wang said. "But this is only limited by the synthesis equipment we have; if you had a larger tank, you could make kilograms or even tons of this catalyst." The initial system worked by using an electrode in one chamber to split water molecules into oxygen and protons. As the oxygen bubbled away, protons conducted through the liquid solution would move into the second chamber, where—with the help of the nickel catalyst—they would bind with CO2 and break the molecule apart, leaving CO and water. That water could then be fed back into the first chamber, where it would again be split, and the process would start again. "The problem was that, the CO2 we can reduce in that system are only those dissolved in water; most of the molecules surrounding the catalyst were water," he said. "There was only a trace amount of CO2, so it was pretty inefficient." "If you deplete the CO2 that's close to the electrode, other molecules have to diffuse to the electrode, and that takes time," Wang said. "But if you're increasing the voltage, it's more likely that the surrounding water will take that opportunity to react and split into hydrogen and oxygen." The solution proved to be relatively simple—to avoid splitting water, the team took the catalyst out of solution. "We replaced that liquid water with water vapor, and feed in high-concentration CO2 gas," he said. "So if the old system was more than 99 percent water and less than 1 percent CO2, now we can completely reverse that, and pump 97 percent CO2 gas and only 3 percent water vapor into this system. Before those liquid water also functions as ion conductors in the system, and now we use ion exchange membranes instead to help ions move around without liquid water. "The impact is that we can deliver an order of magnitude higher current density," he continued. "Previously, we were operating at about ten milliamps-per-centimeter squared, but today we can easily ramp up to 100 milliamps." Going forward, Wang said, the system still has challenges to overcome—particularly related to stability. "If you want to use this to make an economic or environmental impact, it needs to have a continuous operations of thousands of hours," he said. "Right now, we can do this for tens of hours, so there's still a big gap, but I believe those problems can be addressed with more detailed analysis of both the CO2 reduction catalyst and the water oxidation catalyst." 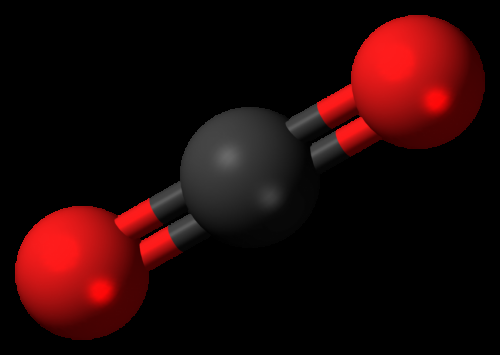 "Carbon monoxide is not a particularly high value chemical product," Wang said. "To explore more possibilities, my group has also developed several copper-based catalysts that can further reduce CO2 into products that are much more valuable." Wang credited the freedom he enjoyed at the Rowland Institute for helping lead to breakthroughs like the new system. "Rowland has provided me, as an early career researcher, a great platform for independent research, which initiates a large portion of the research directions my group will continue to push forward," said Wang, who recently accepted a position at Rice University. "I will definitely miss my days here."